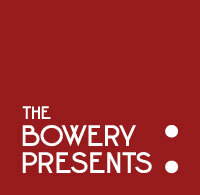 At Bowery Events, we understand that unforgettable events are experienced, not merely attended. When you choose our incredibly unique venues, you gain a partner and leader in the industry with expertise in producing inspired, one-of-a-kind, forward-thinking events safely and with ease. Need help booking a Corporate Event, Meeting, Reception, Concert, Party, Award Show or Gala in multiple markets for one or more years? Look no further. With Bowery Events we raise the bar by having the ability to contract multiple venues within one, single agreement. You will save a tremendous amount of time and energy by working directly with our team to check availabilities, confirm, and coordinate your events seamlessly so that you can be the Rock Star Event Planner we want to work with time and time again.